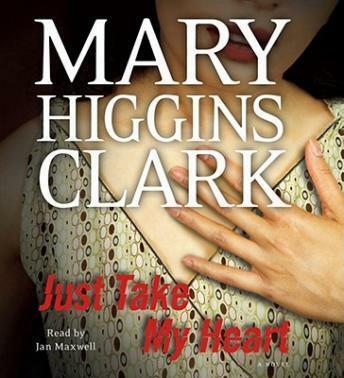 In her new thriller, Mary Higgins Clark delves into a legal battle over the guilt or innocence of a man accused of murdering his wife. Woven into her plot is a littleunderstood, eerie but documented medical phenomenon-the emergence of a donor's traits and memories in the recipient of a heart transplant. Natalie Raines, famous Broadway star, is murdered after accidentally discovering who killed her former roommate, Jamie Evans. Natalie's estranged husband, theatrical agent Gregg Aldrich, was known to have stalked Natalie to find out if she was seeing another man, and becomes 'a person of interest' in her death. After a career criminal comes forward to claim that Aldrich hired him to kill his wife, a job he decided to turn down, a Grand Jury indicts Gregg for the murder of his wife. As Aldrich's trial is making headlines, Wesley warns Emily that this high-profile case will reveal personal matters about her, such as the fact that she had a heart transplant. And, during the trial, Emily experiences sentiments which defy all reason and continue after Gregg Aldrich's fate is decided by the jury. In the meantime, she does not realize that her own life is now at risk. I found that once I really got into this book, it was really interesting. Had me guessing all through it. I loved the twists. A very good listen. I would recommend to everyone, especially if you like Mary Higgins Clark. Loved the story, loved the telling of the story! Kept me on the edge of my seat many times and once I cried!